Ready to blast off into outer space? 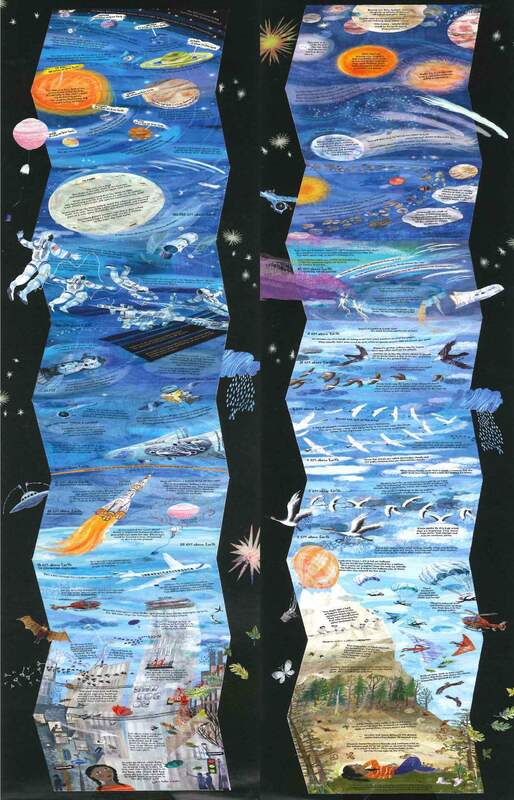 With these 5 space books, you can inspire your children’s interstellar imaginations. Whether your children are super excited about space because of NASA’s 60th birthday coming up on October 1st, or they can’t wait to see the movie First Man, hitting theaters about Neil Armstrong on October 12th, these books are excellent picks. First, check out The Skies Above My Eyes. 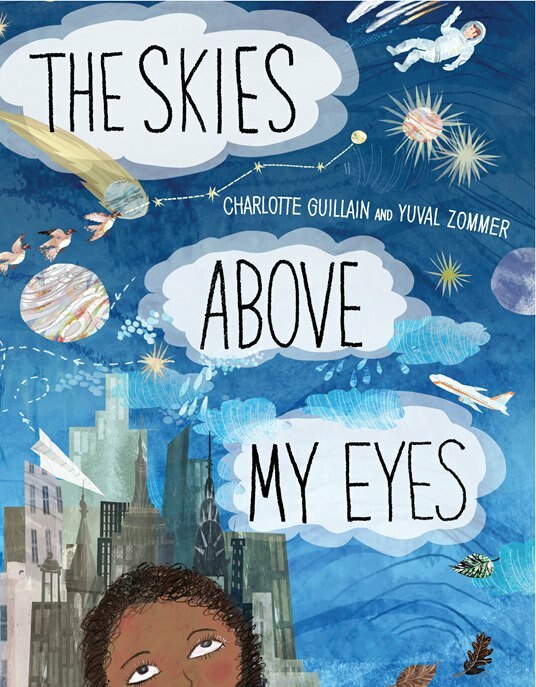 Not only does this beautifully illustrated book fold out to over 8 feet long, but it also shows what is going on high up in the sky above your eyes! Journey up into the air, go through the atmosphere, and far out into space and back down to earth. Zoom past the technology that fills the sky, including helicopters, weather balloons, are more. Check out the insects and animals zoom through the skies, and travel to the far beyond galaxies. Next, read Pluto Is Peeved: An Ex-Planet Searches For Answers if you’ve ever wondered why scientists decide it’s okay to change things. This humorous and detailed story shares the point of view of Pluto. Although Pluto was once considered one of the nine planets in our Solar System, he was then demoted, and he’s not happy about it. With this comic-book style picture book, you can take a scientific journey along with Pluto to learn exactly what interests Pluto, including him! 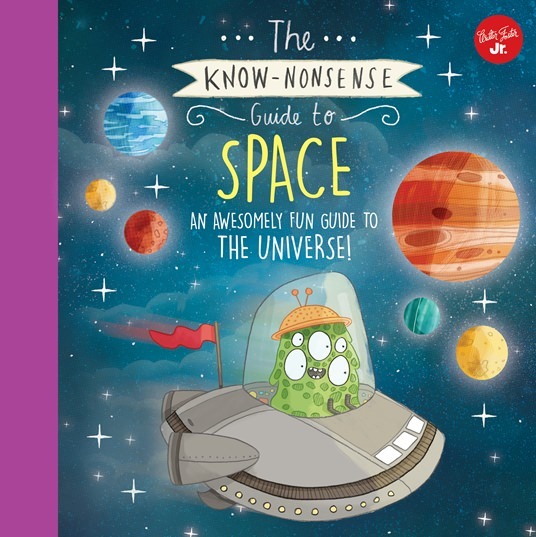 For a cheeky, laugh-inducing book, check out The Know-Nonsense Guide To Space. 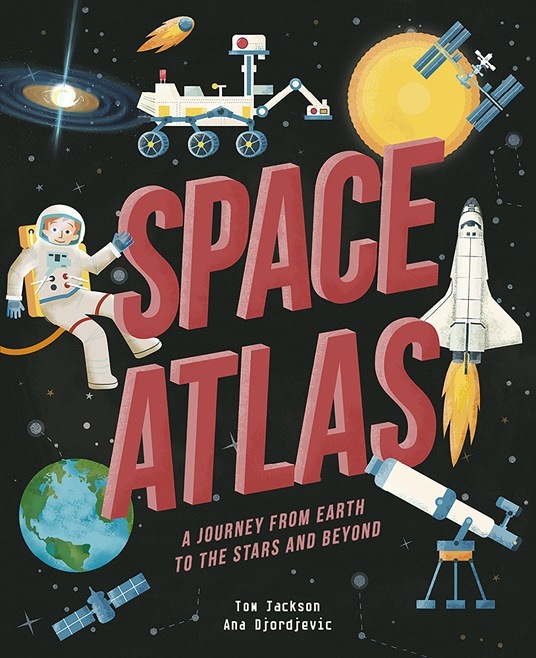 With cartoon-style illustrations, the book is a fun guide with key facts about the planets and other space terms, such as supernova, asteroid belt, and nebula. Looking for one book that holds all the answers to your biggest space questions? With the Space Atlas, you can discover how humans could survive on space, what life is like on the International Space Station, and more! As the ultimate guide to our galaxy, the book features important locations in space with in-depth explorations of each topic, spectacular illustrations and helpful diagrams. 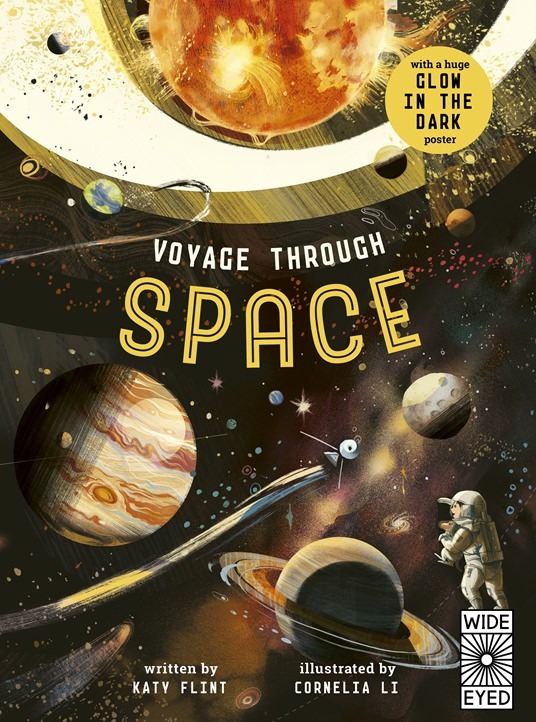 From the beautiful graphic illustrations to the factual photographs, this book is ideal for the biggest fans of space. In Glow In The Dark Voyage Through Space, you can adventure through outer space with one little astronaut and her adorable space dog. See space in a completely new way! After you journey to the sun, beyond the planets, to the Kuiper belt and asteroids, fold out your glow-in-the-dark poster to bring your exploration to life. Enter to win all five space books! Use the Rafflecopter below to enter. One winner will be selected, and that person should follow Theresa’s Reviews across all social media to be eligible. US & Canada only. For more parenting and education tips, follow Theresa’s Reviews on Facebook, Twitter, Instagram, Pinterest, and YouTube. I like the No-Nonsense Guide to Space. It looks good. ALL of these books look awesome! My 5 year old daughter loves anything space related. 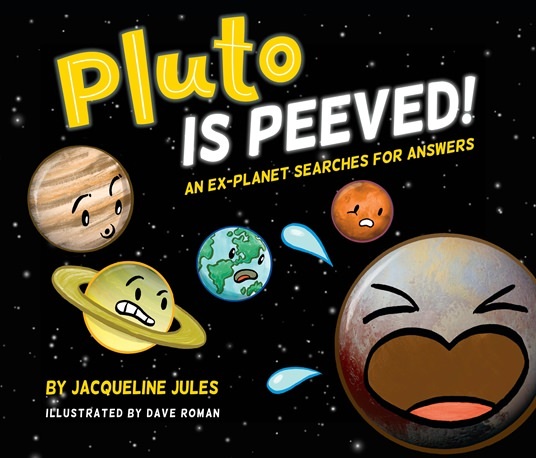 Pluto Is Peeved: An Ex-Planet Searches For Answers looks super cute, and I love the title. Very nice post, I actually love everything related to space!! Awesome, I’m glad you enjoyed! Such great picks for the kids! Pluto is peeved! Lol how cute is that?! The Pluto is Peeved book sounds like a good one. I want Pluto is Peeved the most. It looks like a cute book. Thanks for the giveaway! The Skies Above My Eyes sounds like a book my nephew would love.